In this tutorial, you are going to learn how to chat online free of cost. “Chat” means sending and receiving short text messages in real time. It allows you to converse with one or more people while online. Chat usually occurs in a virtual chat room. This chat room involves many different people who may or may not know each other. You can chat here on any particular topic you want. 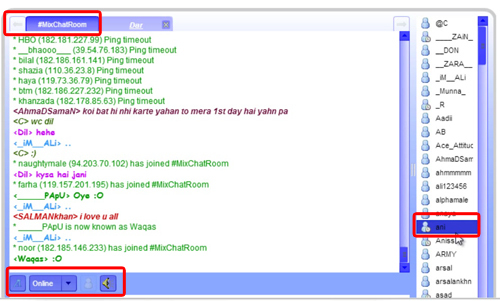 This tutorial will show you that how to join any virtual chat room without registration. First, go to www.mixchatroom.com. You do not need to register here with any of your personal details. 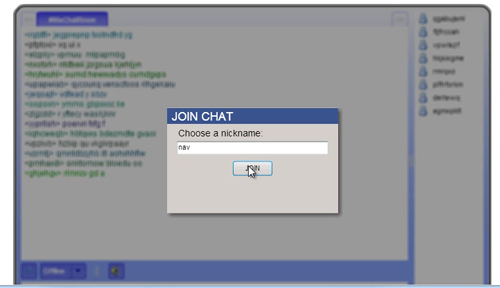 However, a “JOIN CHAT” box will pop-up and ask you to choose a user name. Create any user name inside the pop-up box and click “Join”. Next, you will see the open chat box. Now, you can start chat with any one. You can have mix chat or private chat. Mix chat means you can chat with all people who have joined this chat room. Private chat means you can chat with any individual person you may prefer. In this case, you can also chat with any person you know, provided you know the person’s chat user name in this chat room. All you need to do is click the user name from right of the screen to chat with him or her personally. You will also get volume control options, font change options, etc. at the lower left of the chat room.